Paula Boyden graduated from the Royal Veterinary College in 1992. She spent 11 years in general practice before moving into a technical role in industry in 2003. 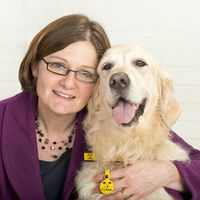 Paula joined Dogs Trust in 2010, where she is now Veterinary Director. In addition to veterinary matters, her responsibilities include Dogs Trust’s outreach, campaigns and public affairs work. Paula has a particular interest in the link between violence to animals and violence to people; she is current Chair of the Links Group, has spoken widely on the subject and is regularly involved in undergraduate training on Non-Accidental Injury (NAI) within the UK veterinary schools.